The link below is the third of three letters that SHPOA has sent to Mayor Judy Davies-Dunhour to formalize our proposed action plans associated with efforts toward island sustainability. 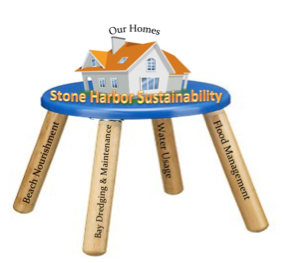 This letter prioritizes actions that we believe Stone Harbor should complete this year on the program to reduce flooding in the Borough and on the Island. SHPOA has consistently offered our support and partnership with this vital initiative and will continue doing so in the future.